Ah, November. The start of the holiday season and the month that rings in Thanksgiving, perhaps the best and most-anticipated holiday of the year (at least in my book!). In the spirit of the season, spas and wellness businesses are giving you great deals, packages, and promotions to be thankful for—here are just a few. 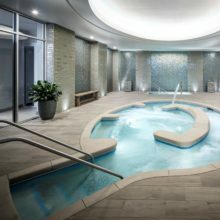 Check out Last Minute Spa and Wellness Deals in New York, Chicago, Miami, and Los Angeles—some of the hottest spa and wellness deals at up to 80% off!